Stop the confusion! Get the facts and practical advice from the experts! Explain the Law and the NTC Guidelines in depth. Learn how tie-down and direct methods perform in accidents. Understand the engineering facts on general freight, rated curtains, gates and restraint equipment. Provide practical advice and solutions on all aspects. Understand the key issues for compliance and safety. Do you lash the gates or the freight? Answers! Bring your problems to share and hear potential solutions! Well known in the transport industry, Mike is a Professional Engineer with a passion for safety and presents with energy and enthusiasm. He has worked and taught on load restraint across Australia, NZ, UK and in Europe. 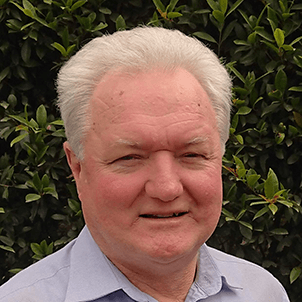 Mike has been an expert witness for the NSW Roads & Maritime Services and many others. Payments by EFT, Amex, Visa or MasterCard (via Stripe, simple instructions provided). Substitutions welcome at any time, 50% cancellation fees apply from 7 days before course.